We have asked Kam, our master connoisseur, to attend a short interview with us so that our customers find out a bit more about the presenting face of our luxury wine tasting events and also know what to expect at each event. Wine Cottage: How did you start your career in the wine industry? Kam: When I was 18, I started working in a wine bar in London. That was the start point of my love affair with wine. I was instantly fascinated by so many varieties in styles of wine, therefore I wanted to find out what causes every wine to be so distinctive. Subsequently, I completed my professional wine training and discovered the effects of grape varieties, terroir and wine making methods that result in the individuality of each wine. 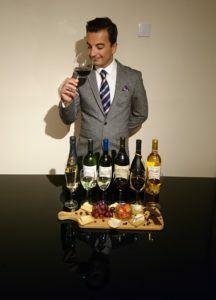 I progressed my carrier by working as a wine instructor and adviser to some of the best airlines in the world, and now I am so proud to be working with Wine Cottage. 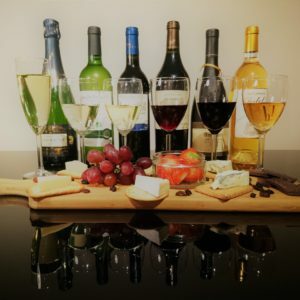 Wine Cottage: What is your favourite wine? Kam: I believe any wine that is made professionally and delicately from any well grown and harvested grapes can be outstanding. Some of my most favourite red wines are of those with full body and aged in oak barrels, such as Amarone della Valpolicella. Wine Cottage: What inspires you to have so much passion for your job? Kam: There are two elements that excite me the most, one is having the opportunity to share my knowledge and passion for wine with our guests in a relaxed and entertaining environment so that they learn the systematic approach to wine tasting whilst having a fun night out, and the other is introducing new types of wines to our guests which they are not very likely to have tried before. 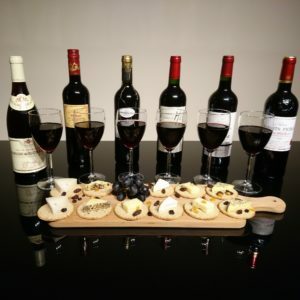 Wine Cottage: What can our guests expect at our luxury wine tasting events? Kam: Our guests can expect six exclusively selected wines with variety of styles and types. We have chosen these varieties of wines on purpose to ensure our guests fully benefit from the educational part of the evening by comparing the differences of these excellent wines. I believe there is a wine in our events catered for every taste. I invite everyone from different age groups to different wine knowledge to attend one of our memorable events for a highly informative evening full of fun. I attended the wine and cheese tasting event on Saturday 19 January. The venue at 8 Northumberland Avenue was perfect as was the setting in the wine tasting room. I have attended other wine tasting events both in the UK and abroad, the last memorable one in Mendoza Argentina, but Kam’s session surpassed all others in terms of knowledge gained and the manner in which he made a complicated subject very easy to understand. I enjoyed the event and it definitely represented excellent value for money. All events are fully booked till Saturday 25th November! A new Bordeaux Supérieur 2008 has been added to all our wine tasting events!